Ridinger Insurance Agency is an independent insurance agency in Central Pennsylvania. These counties include York, Dauphin, Adams, Cumberland, Lancaster, Berks, Lebanon and Franklin. We have been in business over 30 years and take pride in the fact of offering high quality products to our clients. Don Ridinger has been an independent agent since 1978. This enables him to offer to his clients the best companies available for their insurance and investment needs. Mr. Ridinger takes pride in helping people with these needs at no cost to his clients. The companies he represents pay him for the services he provides. The agency motto is “Let’s take a look and see if we can help”. Truly this reflects Mr. Ridinger’s approach to all that he serves. Mr. Ridinger always believes this is true and that it never hurts anyone to see if He can help them. Some of the markets that he works is Senior products like Medicare Supplement and Medicare Advantage plans, Burial Insurance(with no physical), Long term Care, and conservative investment programs like fixed, index and immediate annuities. He also works in the “under 65” market. This would include competitive term and permanent life insurance. Individual and sole proprietor health insurance, Critical Illness and Disability insurance. Finally, I would be remiss in this “about us” section if I did not tell you the most important person helping us. That person is God. With God, We are able …….to do the work set before us! We are thankful for His provision and grace. We are thankful that He loves all and is the condemner of none. So if you would like us to “take a look and see if we can help”, you really have nothing to lose. Lorey Ridinger has worked in the insurance business since 1999. 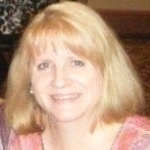 She manages our office and specializes in Medicare Supplement and prescription plans (part D). She also handles the people under 65 for life and health insurance. Her experience speaks for itself. Lorey also works in the “under 65” health insurance market. She also represents competitive term and permanent life insurance. She also sells Individual and sole proprietor health insurance.